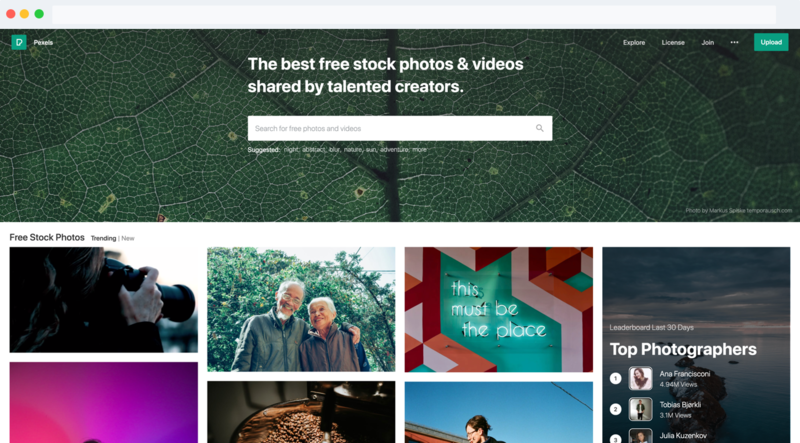 Free stock photos you can use anywhere for anything. That’s what Pexels offers and that’s what you can now use to boost the engagement and value of your text messages in SMSBump. The new Pexels integration with SMSBump is now available in any text message editor that the app offers for Shopify stores. Text marketing campaigns, SMS marketing automations, every kind of text message you can send with SMSBump can now be enriched with visuals. The beautiful thing about Pexels is not just the high quality images you can find inside. It’s the fact that you have a rich and diverse stock photo library where you can find images for anything you can think of. How does Pexels improve your text messages? When you enable the multimedia messages, you can select Pexels as your source of images. 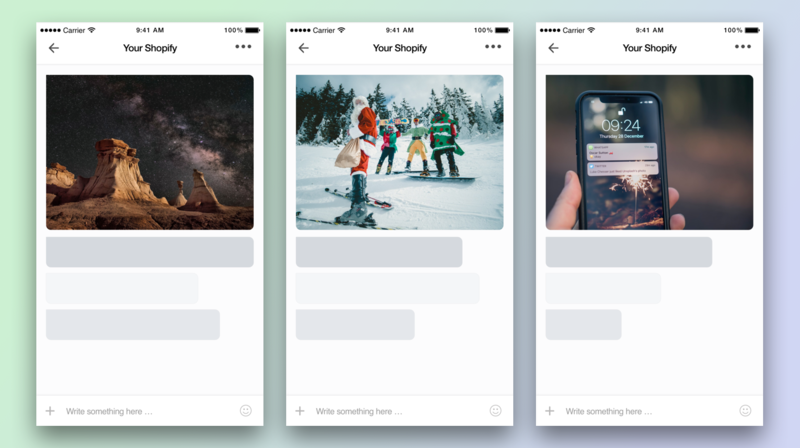 This is where you can find beautiful photos that turn a simple text message into a visual marketing experience for your SMS subscribers. More engaging. Visual content always drives more actions and the desire to see, feel or click more. Instantly digestible. An image or a photo deliver the main messages instantly and recipients can get an idea of what your message is about right away. More visually appealing. A high-resolution and high-quality image will always grasp the viewer’s eye and attention. Once you have that instant focus, it’s up to your text message to make the final nudge to action. Give more clarity. When a message is about a certain topic, a visual representation of that helps recipients understand what they’re about to interact with so there’s less traction and more action. How to add Pexels photos to text messages? As we said, the Pexels integration is available both for your SMSBump Text Marketing campaigns and SMS Automations. 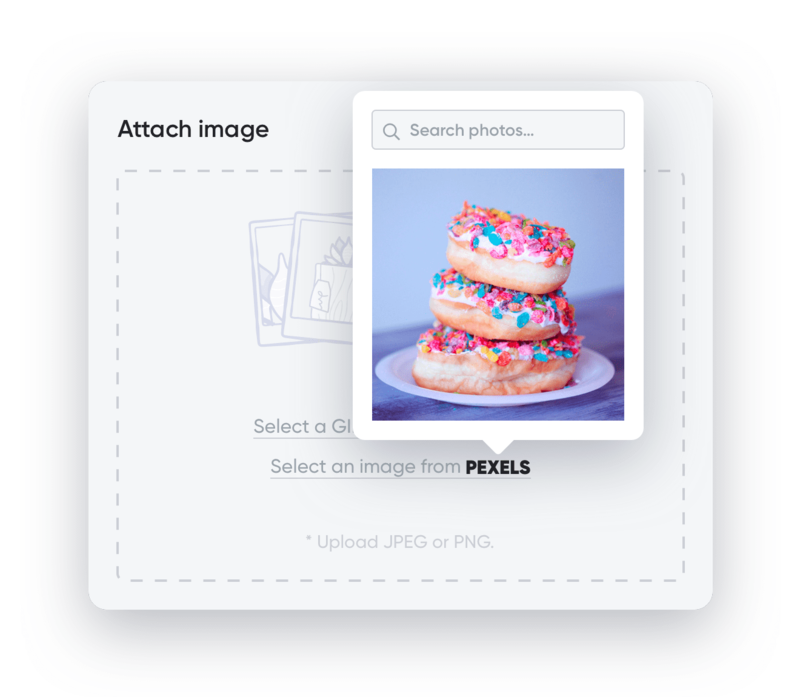 Simply go either to your Text Marketing campaign creation or click Edit on any of your SMS automations to view the field called Attach image or GIF. 1. Select the checkbox to enable multimedia messages (MMS). 2. Click on Select an image from PEXELS to see the image selection. 3. Look for any topic or phrase in the Search field to find the most relevant photos. 4. Click on the photo you want to add to your text message. Once the photo is added to your text message, you will able to see how it’s going to look in the text message preview to the right. Make sure the content of your text message is as relevant to the image as possible so customers can quickly scan through it for confirmation on their way to clicking your link. Important: Multimedia messages are only available for recipients based in the United States. Give your text message marketing a brand new look! Discover the latest trending photos on Pexels. 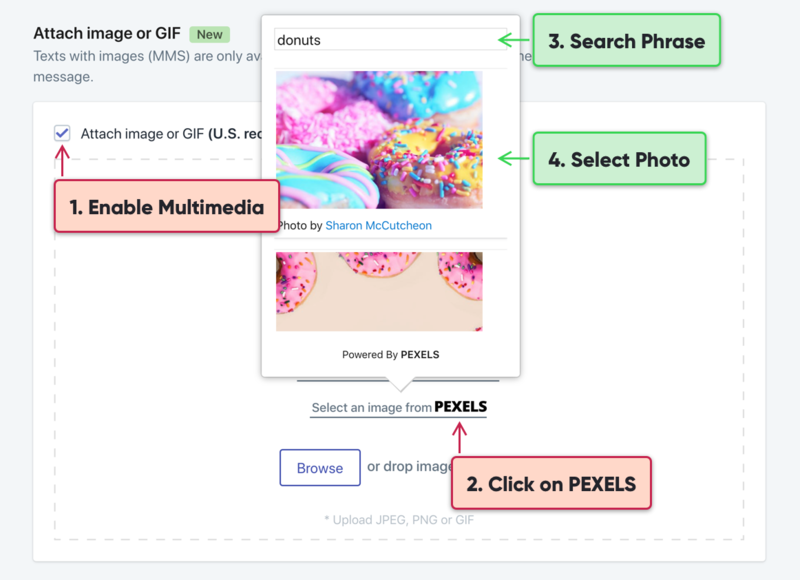 Search for any topic and find the most relevant photo for your marketing campaign or automation. Use the beautiful photos from the creative Pexels community of talented photographers! Send your first multimedia message today! 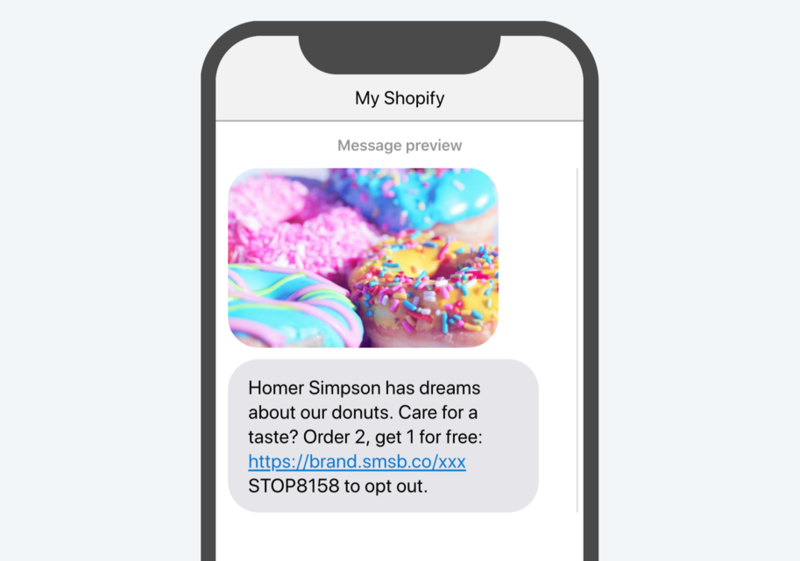 Install SMSBump in your Shopify store if you haven’t already and either go to Automations and create a new one, or go to Text Marketing and start launching a new SMS campaign to see the Pexels integration in the message editor. Let us know what you think and happy texting!